Hong Kong-based airline Cathay Pacific is closing down its cabin crew base in Toronto after citing concerns over the commercial viability of the operations. The decision to shut down the Canadian hub puts 120 jobs at risk of retrenchment or relocation. The airline is undergoing the final year of a transformation program that has included job cuts in Hong Kong and overseas. Cathay Pacific, however, said it is yet to decide whether the affected crew members in Toronto will be let go. The airline is in talks with the workers’ union to explore options for the crew, such as the opportunity to relocate to another base, the South China Morning Post reported. “The commercial viability of the Toronto cabin crew base has been a concern to us for some time,” a memo seen by the SCMP purportedly said. 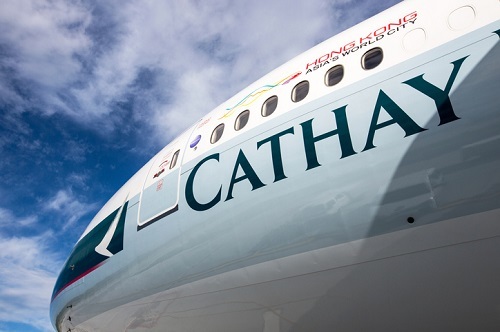 Cathay Pacific can “no longer foresee circumstances in which it is possible for us to sustain this way of operating,” the memo added. Despite the closure, the company said it has “no current plans” to shutter other bases overseas. In 2017, Cathay Pacific began a move to revamp its business after incurring losses over two years. The airline is said to be facing stiff competition from Chinese and other low-cost carriers, Bloomberg reported. The company slashed 600 jobs at its main office when it began a three-year program to cut costs of about HK$4bn (US$510m).